Nearest railway station- Raipur ( 44km). And it connect all weather motor able road . from Abhanpur 19 km. Here we use some fix departure in based of colorful ethinic group such as Ramnami, Dandami Maria, Muria, Gond, Baiga with colourful Rajim Kumbha festival in Chhattisgarrh, and also to keep in mind the distance and sighting of this tour we mentioned here some particular day and date in order.We can combine this Rajim Kumbha Mela fair in Chhattisgarh with Joranda sadhu festival in Orissa, for more detail please feel free to contact with us. Day 1: (Sat)- 3rd Feb -2018 – Arrival at Raipur airport – transfer to hotel. 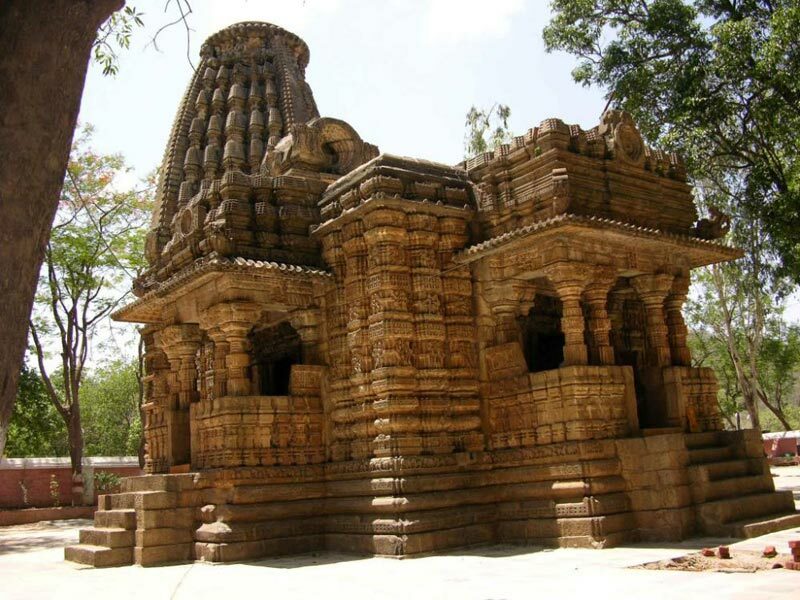 Visit the Maha rudra shiva at Tala gaon and visit also the ancient town Malhar, check in the nice hotel at Bilaspur. 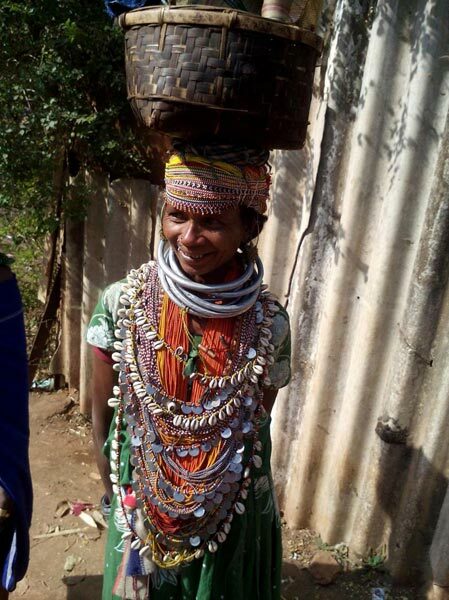 Visit famous Ramnami tribe at their isolated village, (very few ramnami tribes are remain). Return back to Bilaspur for overnight stay. 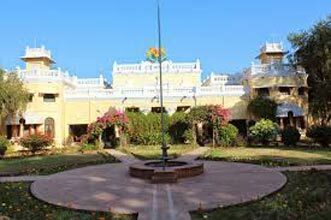 Proceed towards Kanker, enroute visit the champaran, check in a nice palace at Kanker. 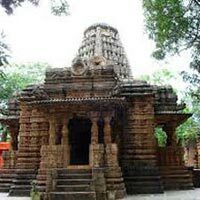 Day 5: (Wed)-7th Feb.-kanker- Udkuda- Pre-historic rock art site in core jungle area- Kanker. Visit the pre-historic rock art site in the core jungle area of Udkuda and Gotitula , picknic lunch at royal farm house, return back to Kanker palace enjoy the mouthwatering royal dinner. 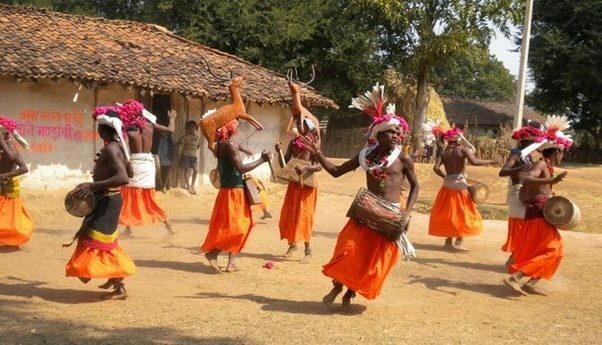 Meet the famous Muria tribes at their famous Bastar market and visit their isolated village and enjoy their Gotul dance at there. Check in a nice jungle resort at Jagdalpur. Meet the Dandami Maria tribes at their village and enjoy the famous Bison Horn group dance at their village ambiance. 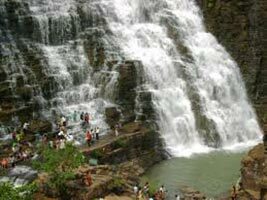 Visit also famous Tirathgarh waterfall, and famous grand weekly market too. Morning departure towards Kondagaon , meet the famous Dokra casting people at their village and iron casting village and excursion their live hand made work at their. 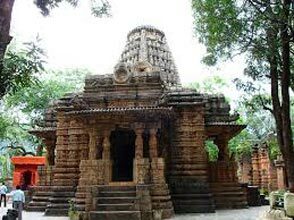 Visit the famous Gond tribal village at Keshkal region, check in again the same heritage palace at Kanker. Morning proceed towards Barnawapara wildlife sanctuary, check in a nice jungle resort and afternoon hiking to the near by ethnic village. Morning and afternoon open jeep safari and meet different flora and fauna at that sanctuary. 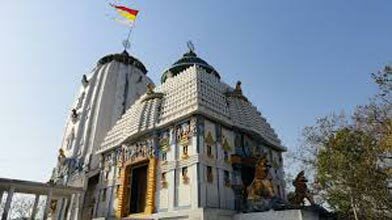 Morning after breakfast departure for Siripur explore the excavated budhist and hindu monastery site, then explore the jain monument at Arang, then strate drive toward Rajim Kumbha Mela , and meet the naga sadhus. Return back to Raipur and check in a nice hotel. Early departure for Rajim Kumbha Mela- fair too, and full day excursion the Fair with Naga sadhus, and enjoy the holy deep . afternoon return back to hotel and relax. Meet the most colorful Baiga tribes at their isolated village of core jungle area. Enjoy their traditional dance ( subject to available of drum men) and also visit their famous Weekly market . Overnight at the same jungle resort. (Sat)-17th Feb.- Bharamdeo- Raipur (3.30hr drive) Departure to Raipur airport for your onward destination.